Welcome to Fall Lovelies! This week we are going to give you tons on fall inspiration to pretty your parties and yours homes in every lovely way possible starting with our inspiration of the day! 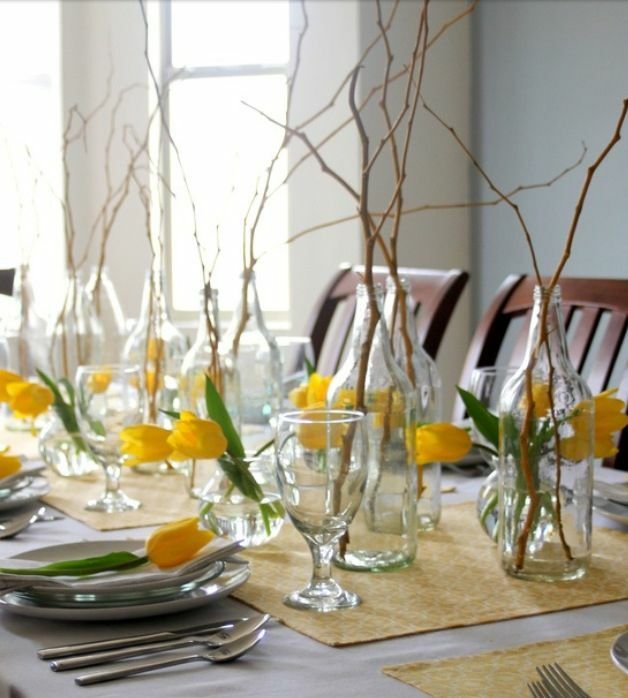 Fall is full of wonderful warm colors like amber, sage and burnt orange and today’s tablescape is not exception! 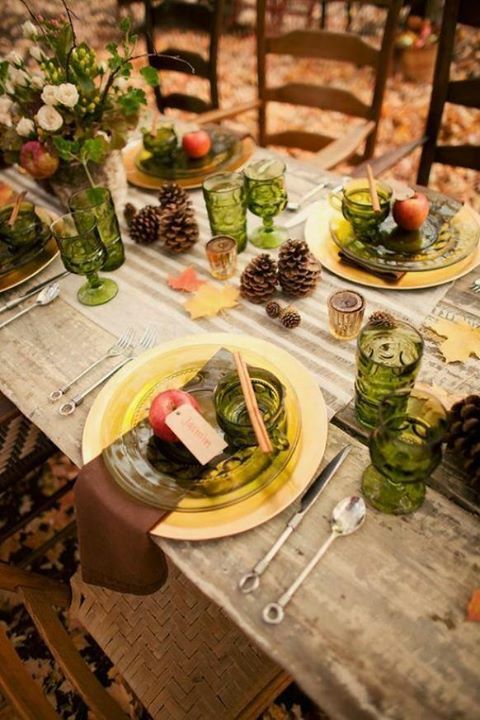 We love the combination of green and brown in this tablescape. The pine cones, apples and cinnamon sticks are beautiful accents too. The homey wooden chairs along with the simple, rustic decor and centerpieces definitely is a lovely fall look that we are smitten over.